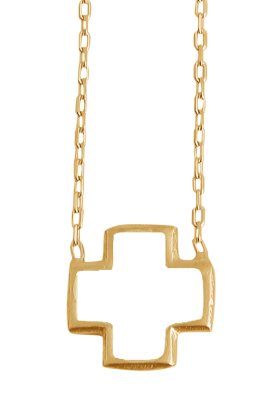 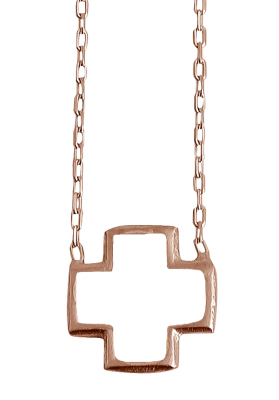 Tags: cross, eye, hamsa, opadesigns, rosegold. 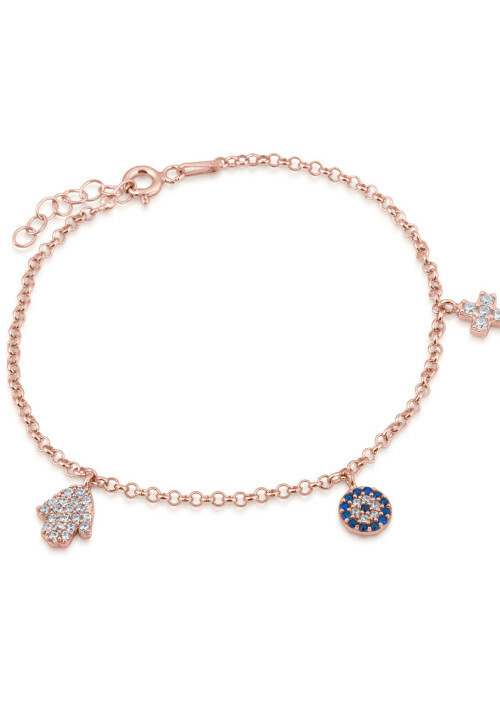 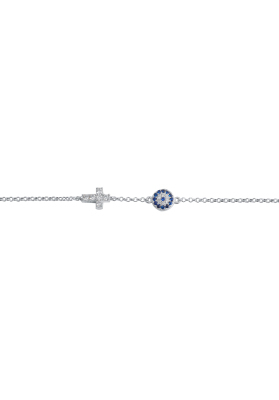 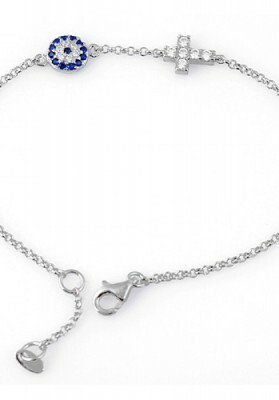 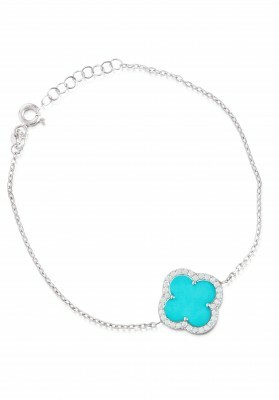 A protection bracelet featuring an eye, a cross and a hamsa . 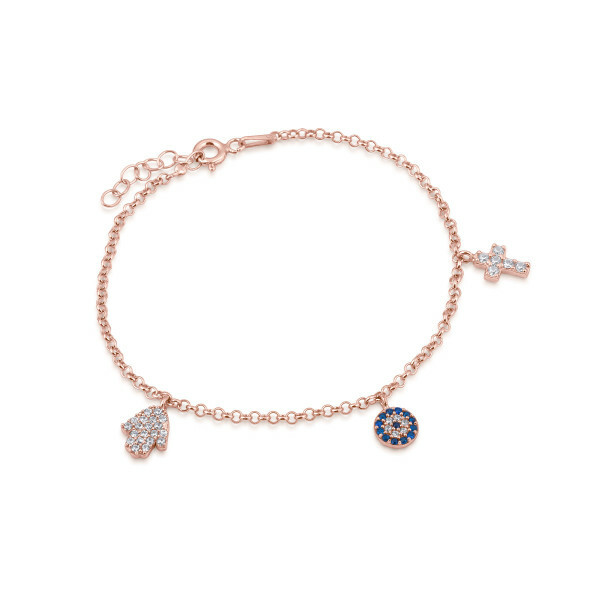 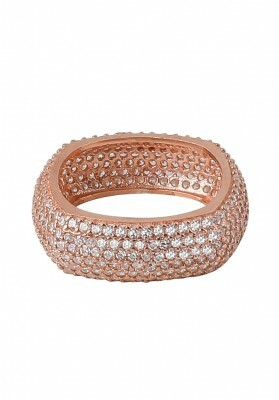 Sterling silver with rose gold plating.